The Duke and Duchess of Cambridge wrapped up their four-day tour of Sweden and Norway on Friday with a series of outdoor engagements that were light on jewelry -- in part because of the frigid temperatures! 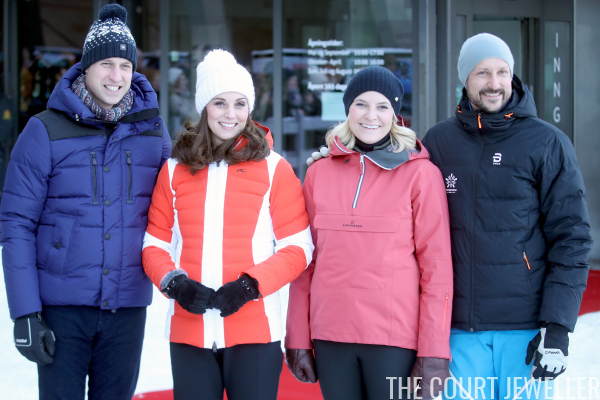 Crown Prince Haakon and Crown Princess Mette-Marit joined William and Kate on Thursday morning for a visit to Hartvig Nissen School, the filming location of a popular Norwegian television series called Skam. The show works to help address issues that are important to Norway's teenage population. Both royal ladies were bundled against the cold, which meant that we couldn't see much of their jewelry. But we did get a glimpse of a pearly earring here from Mette-Marit. Kate's Mappin and Webb Empress earrings were more visible. 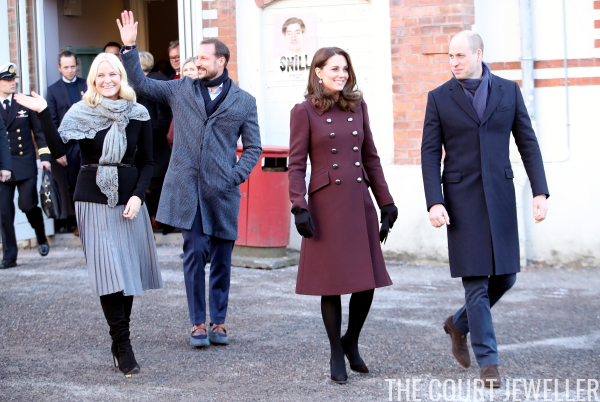 Here's a look at Kate's full outfit for the school visit. Later in the day, the couples traveled to Holmenkollen ski jump, where they met with junior members of Norway's national ski jump team. 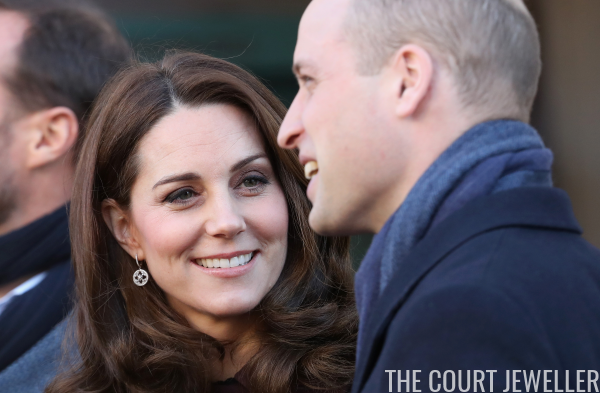 The freezing temperatures meant that the only brief glimpse of jewelry we got came when Kate quickly removed one of her gloves, revealing her usual trio of engagement, wedding, and eternity rings.